When Brooklyn journalist Daniel Plotnick learns he has cancer, his fortunes fall faster than you can say Ten Plagues of Egypt. His wife can’t cope, his marriage ends in a showdown with police, and his father accidentally pushes him off the George Washington Bridge. 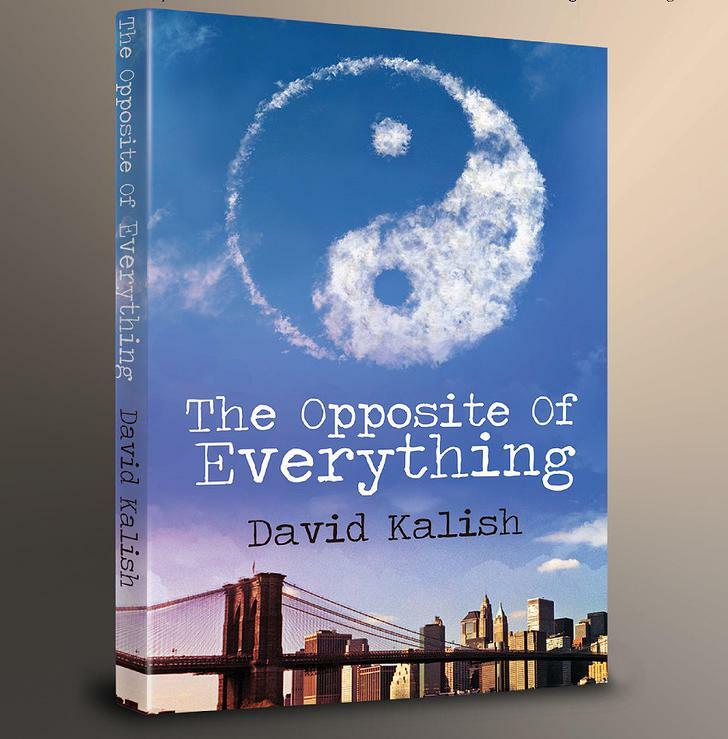 The Opposite of Everything is loosely based on David Kalish’s own experience with medullary thyroid cancer, although he has fictionalized many things, trying to draw away the poison, I imagine, with humor. The story opens with Plotnick’s happy newlywed life. We get the sense that, despite being a newspaper reporter, he’s just a guy living in New York City. A guy who spends little time in introspection. Within a few paragraphs, he discovers the lump, has surgery to remove it, and finds out that his cancer is incurable, but very slow-growing. That’s where the ‘fun’ begins. His new bride wants to save him through health food, but he resists. We meet his best friend, Steve, a telephone repair man who also bartenders and acts as Plotnick’s sounding-board. We learn about his deplorable parents. Soon, he and his wife are at loggerheads. He behaves like a spoiled child, but she isn’t much better. Plotnick resists change. He tries hard not to share his true self with anyone, not even himself. I suppose that many readers will find the early scenes with his father particularly funny (especially the dance hall). However, I’ve never been a fan of slapstick or characters who don’t appear to have feelings, so it took me a long time to get into the story. I’m also not sure that Plotnick’s plan to do everything the opposite of what he did before his divorce quite makes sense. I became truly engaged about halfway through when Sonia arrives on the scene. She is Plotnick’s opposite. She’s warm, open, and self-aware. I loved her, and wished she occupied more of the novel. After she appeared, I began to chuckle and then to laugh a little. The interplay between her, Daniel, and Steve grows more and more rich and nuanced towards the end. This is a solid first novel. I give it three stars out of five. It’ll make a great movie. I see Ben Stiller as Daniel Plotnick, doing one thing wrong after another. Perhaps it would have been better if Kalish had allowed himself to dive deep into his emotions, and give us more of the reality, instead of trying to make it funny by taking it over-the-top. Maybe that’s too emotionally difficult. And maybe I just don’t understand comedy. You’ll have to see for yourself. Disclosure: I received a free copy of The Opposite of Everything in exchange for my honest review. This entry was posted on February 21, 2014, 12:00 pm and is filed under Uncategorized. You can follow any responses to this entry through RSS 2.0. You can leave a response, or trackback from your own site.